Episode #8: Is a 100% clean energy future possible? 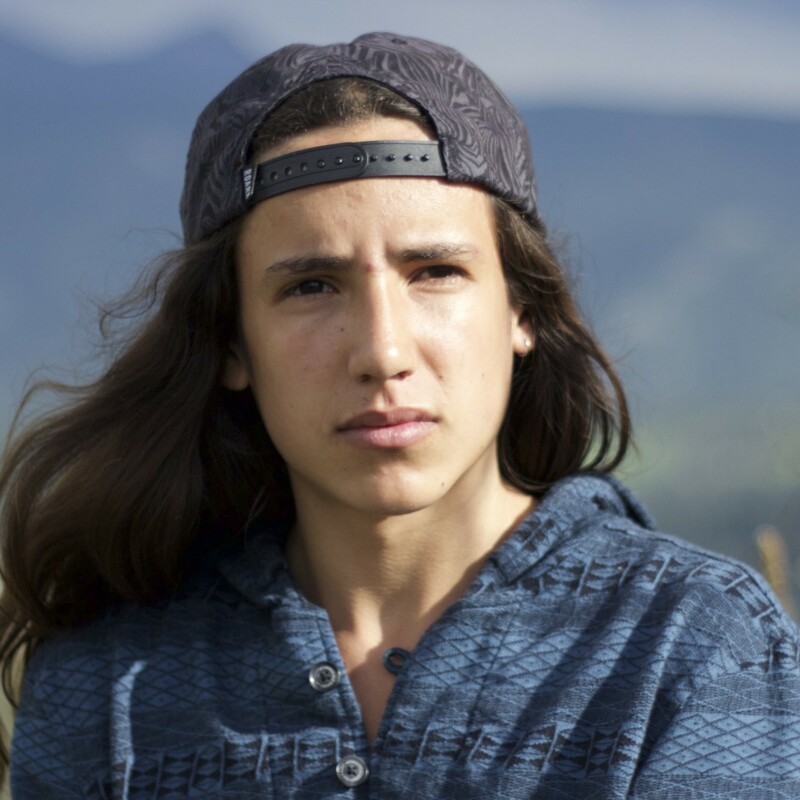 Xiuhtezcatl Martinez is co-founder and youth director of Earth Guardians, an international organization committed to protecting the air, the water, the earth and the atmosphere. He is also 15. 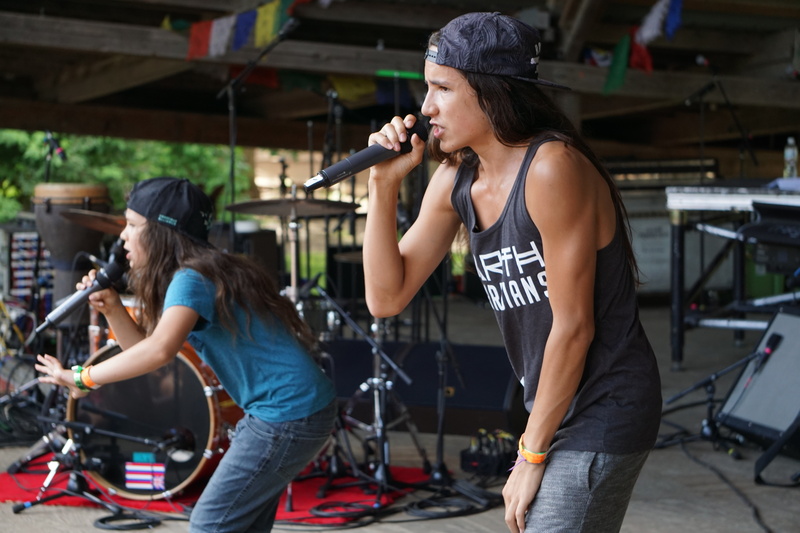 Dubbed the anti-Beiber, Xiuhtezcatl is NOT your average teenager. He has been speaking at environmental and climate change rallies, events and conferences since he was six years old. An agent of change, Xiuhtezcatl’s worked with City Council and County Commissioners, Congress, White House staff , the United Nations on the frontlines of climate activism. Tune in as he talks about his work, his passion, what inspires him, and his vision for the future. Monica: Hi, this is Monica Laurence. I’m here with Xiuhtezcatl Martinez. He’s a 15-year old environmental activist and eco hip-hop artist. He and his mother co-created Earth Guardians, a youth movement for a sustainable earth. Xiuhtezcatl, welcome to Turtle Talks! Xiuhtezcatl: Thank you so much for having me. I’m very excited to be a part of this. I’m just generally very excited these days for these inter-generational conversations that we’re having, talking about really important things to share these messages with the world. So thank you for having me. I’ve been involved in the climate environmental movement the last nine years of my life, on the front lines. It’s been an incredible journey. My father raised me in the Meshika and Aztec tradition. And I learned about a lot of amazing things around spirituality and culture and ceremony at a very young age, learning that all life was sacred, learning that all life was connected, learning that each and every one of us has that connection to the planet that we were all born with and that we must respect the earth. Monica: How do you feel that sacred connection to the earth? What does it feel like for you? Xiuhtezcatl: I feel like I belong to this planet, in a sense. There’s such a vast amount of just incredible, immeasurable beauty on this earth that we just have to surrender to it and really understand that there’s so much more than just us here. I think that there’s just that sense that everything feels at peace when I’m in nature, and that’s when I can meditate. That’s when I can just feel connected to the world. That’s when I can write lyrics and get inspired and recharged. I started watching different documentaries. One documentary in particular, The Eleventh Hour, showed me the devastation and degradation of our planet caused by human lifestyles, our over-consumptive lifestyles. And I saw this world that I belong to, this world that belonged to me was in trouble because of the way that we were living as people on this earth. I looked at myself and I asked myself, “How can I not act? How can I not do something at this point in time? Monica: What was the first action you took? 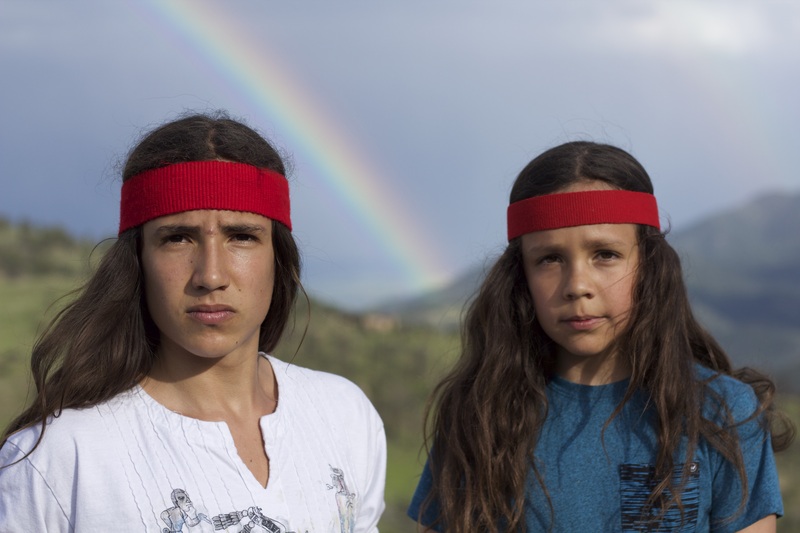 Xiuhtezcatl: When I was six years old, I spoke at a climate change rally in downtown Boulder, talking about how for so many people to point the finger at the fossil fuel industries, big corporations that are spewing chemicals into our environment without the understanding that we are the ones that are purchasing their things, and so just this whole thing about responsibility and taking integrity and protecting the planet with our actions rather than blaming other people about it. Ever since then, it just continued to grow. And I started working with my community, the youth of my community. We rallied and lobbied to get pesticides out of our local parks in Boulder, Colorado, which we successfully did. We worked to regulate coal ash in our community and shut down the coal plant, worked to get our community on to renewable energy solutions. 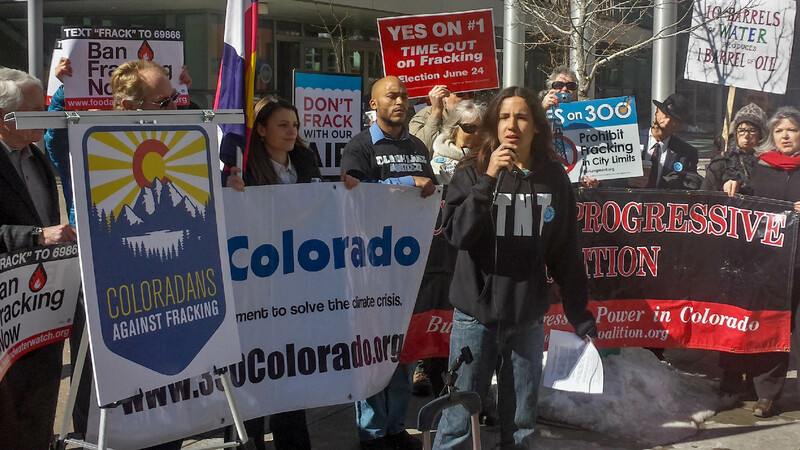 There’s a lot of amazing things that we did, worked on hydraulic fracturing and banning and the issuing of permits around Colorado. Monica: One of the things that really resonates with me in your message is that we each have a voice and that we each have talents in order to step forward and initiate change. How is it that you take that seed of inspiration and then share it with others to engage them in your movement? 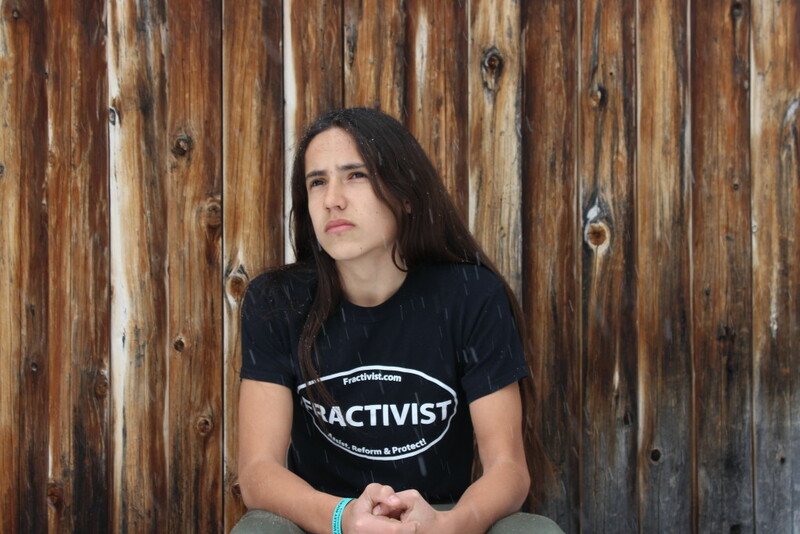 Xiuhtezcatl: I think that just really changing the conversation that we’re having around action on climate change, action to protect our planet, changing the way people think about it, because I don’t even like to refer to myself as an activist. I’m an artist. I’m a lyricist. I’m a spokesperson. I think when people look at our movement, when people look at taking action, there’s this automatic tendency to look at activism. If you look at activism over the last few years around the environment, not a lot of it has worked. There’s a lot of things that haven’t worked. And our planet is just getting in a worse and worse state of being. So what we have to do as a people on this earth is realize that in order to save the planet, not even save the planet, but in order to just shift human consciousness and to awaken the people so that we can then do what is necessary to protect the earth and protect this race of people and this generation, future generations to come, is realize the things that we’re passionate about and realize the things that we excel in, the gifts that we’ve been given in this life. Whether we are artists or poets or visionaries or photographers or athletes or whatever it is that we are, use those things that we excel at to engage in our community to change the world. And that is what we’re encouraging youth groups all over the planet to do. It’s a pretty special thing to witness that and be able to encourage and inspire more and more young people to engage in that way, because that’s what we need. We need less activists. We need more artists, inspirational thinkers, visionaries, just leaders. We need less followers and more leaders in the world that we are living in. Monica: That was so beautifully said, Xiuhtezcatl. Initiative activism is really interesting to me because, historically, it has come from a place of resistance. And I think that the energy that we’re seeing now that has the potential to be the most powerful as a change agent comes from a place of pure love, integrity, and consciousness. And that’s really what you’ve just described. In your travels, and I’m seeing this particularly in youth, but I’d be curious from your perspective as a 15-year-old and a person of the world, how are you seeing consciousness and the rise of consciousness reflected on the planet? 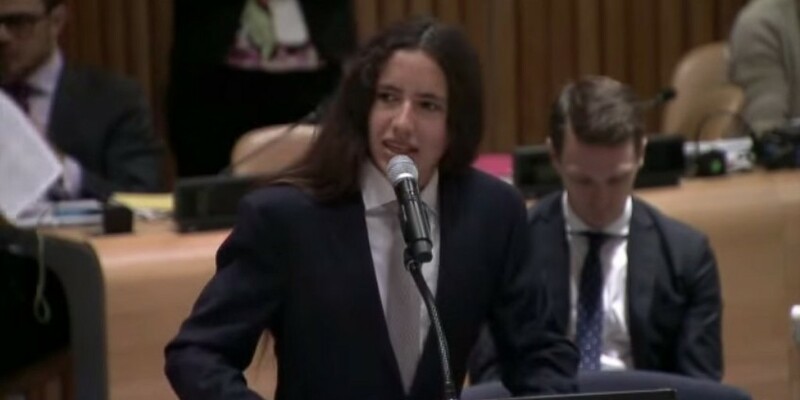 Xiuhtezcatl: We need to understand that as the crisis continues to grow, that’s only that much higher that the people have to rise to defeat it. I really have seen an increase in consciousness. More people are understanding that our world is falling apart, so more people are rising up to take action to deal with this problem rather than just complain about it and rather than just to feel sorry about it. Action is being taken. Movements are being built. Youth are taking to the streets, taking to the courts, are questioning everything that they thought that they knew about this system because they see that it’s not working. They see that the systems in place are tearing apart the planet. It’s amazing. And it’s really time for this movement to take another leap. More and more people around the planet are becoming more aware of where our food comes from, of how our lifestyles affect the planet. It’s increasing. It’s growing and growing and growing. And it really has come really far from where it has been. So, yeah, I definitely do think that the consciousness of people on this earth has really shifted, and for the better. Monica: What are the initiatives that you’re working on right now that make you most hopeful and excited about your next steps? Xiuhtezcatl: One of the biggest things that I’m working on this is preparation work for the COP21 United Nations summit, and really not preparing just for COP, but planning through COP. This is a really important United Nations event for action on climate change, where world leaders are going to be coming together to try to come to some binding agreement on climate change. The whole world is looking at COP as putting all of our energy into COP. And what people aren’t looking at is putting our energy through COP. And if they do come up with binding agreements, what’s going to be the next steps of the people to enforce these agreements and make sure that our government is doing their job and make sure that all the leaders are doing their jobs of protecting the people? Monica: How does your music figure into your vision going forward and your ability to impact people with your message? Monica: That’s fantastic. I would encourage everyone to listen to your music. It’s absolutely infectious and so many layers of meaning to it. So, Xiuhtezcatl, do you believe that we are capable of moving to a clean energy future that would rehabilitate and then protect our planet? Xiuhtezcatl: I really do. A clean energy future is really what is necessary. This paradigm of fossil fuels, of extraction of burning things that died millions of years ago, that’s done. We’re over it. It had its time, and its time is gone. A renewable energy future is possible. A renewable energy future is out there. We need to take the steps as people, as individuals demanding for these solutions just as much as our government and our politicians have to. It’s up to us. It’s up to them. We need to work together. It’s going to happen. The people need it. The people want it. That’s what our planet needs right now. A lot of what has to change also is just human action and just understand that not only do we have to change the way we are getting energy, we should use less energy. Wherever we’re getting it, we’re still going to be taking it from the planet. It still takes minerals mined from the earth to build a solar panel. We got to just start using less as people on this earth and realize that the destruction of the planet is not only because of fossil fuel but just because of the actions that we take and the irresponsibility around those actions and how we do not sustainably use resources well on this planet, especially in this country. People got to be changing the way that they live, because it’s a combination of all of it that’s really going to make a difference. It’s not just switching from fossil fuels to solar. That’s not a solution. The solution is changing the way that we think about the earth so we can then understand the impact that we are having upon it. Monica: Xiuhtezcatl, how does your indigenous heritage shape your thinking in this regard? 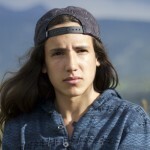 Xiuhtezcatl: Yeah, my father raised me in the Meshika tradition and just that sense of connection and responsibility and that sense of integrity. I was always taught that I’m a warrior of my people and a protector of this land. I’m a steward of this land. And my father told me stories on my ancestors. And all that’s ever been for my people is we were always caretakers of the land. We were always protectors. We were always earth guardians. Keeping that balance, that’s what indigenous heritage is about to me is the understanding of balance, understanding of respect for our mother. The earth is seen as a feminine in a lot of cultures and understanding that we need to protect our mother. We need to fight for our mother and give back in every way that she has given to us. Monica: When you think of how our world can be, what is the vision that you have in your mind? And can you share that image with us so that we might be able to hold that vision with you? Xiuhtezcatl: Vision for what this world can be, that’s powerful. That really is. Holding vision is really important. And when people ask me what kind of world do I want to see, I can give them the standard answer. More people are awake and aware. More people are growing their own food. More people know where their energy comes from. More people are having less of an impact on the planet. More people are aware and giving back to the earth. More people are kinder to each other. More people love themselves. Those are all the things I see in the future. But I really think holding a vision for the future is important but, at the same time, creating it. And I feel like right now, at this point in time, at this moment in time, we are creating that vision for the future. We are creating what we want to see for our world. We are creating that in this moment in time. We are bringing forth the revolutions that needs to be brought forth to change the world. And rather than just visioning about it and holding that vision, which is important, I don’t really want to say what I see for the world because I want to create it. I’m in the process of creating it right now. And I want to continue to fight for that. And I want to continue to create that. And I want as many people to join me as you can. If you’re listening to this and you want to join this movement, it’s happening all around us. Whether you’re aware of it or not, whether you wanted to or not, whether you’re a part of it or not, this movement is on its way. We are ready shift a lot of things. A lot of things are ready to change. And I’m ready to be a part of that. And I’m ready to dream this dream and build this vision that we’ve had for a very long time and my grandfather’s had for a very long time and my mom has had for a very long time, this vision of a new healthy, beautiful, peaceful, just, loving earth, where we can love ourselves as much as we love the people around us as much as we love the earth. That’s what I see for the future, and I want to build it. I want to be a part of building that new future for our generation and those to follow. Monica: I love that you’ve left your vision so dynamic and open, because by doing so, it has the potential to be much more glorious, much more fantastic than any one of us could imagine in this moment right now. There’s a certain wisdom in walking the path and leaving the vision open in that way. So thank you for sharing that wisdom with us. 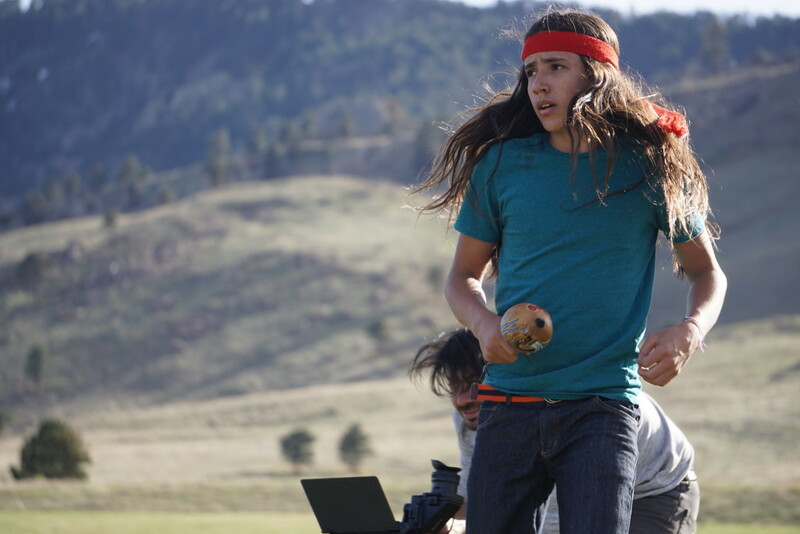 Xiuhtezcatl: I think one of the ways to think about our capability of making a difference is to ask ourselves, “What will be my legacy?” When you contemplate that question, if you ever do, what answers come to you? 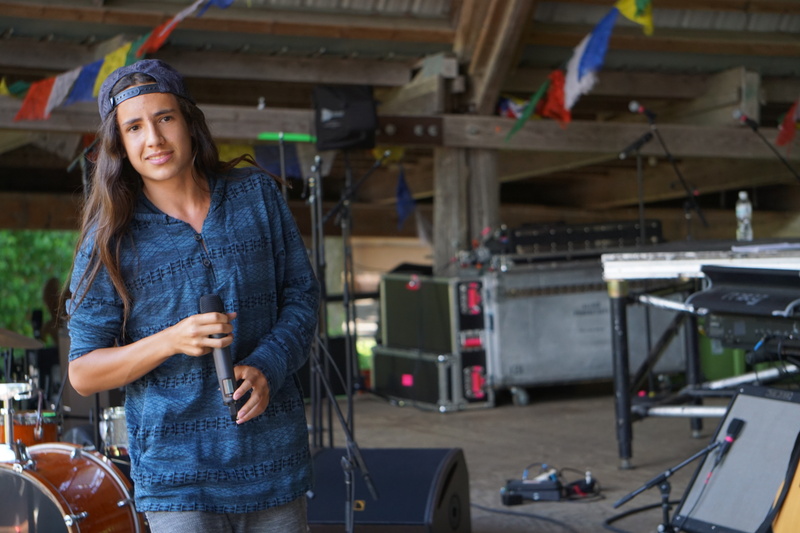 Xiuhtezcatl: Yeah, that’s big. That’s big. I really think of every generation leaving behind a very important mark on this earth, leaving behind something very, very powerful. This generation has the potential to leave behind a lot of incredible things and be remembered as a generation that stood up to the biggest industries on the planet to fight for what was right and take action on climate change. Ah, man, a legacy, I’m 15. I’m not thinking about leaving behind a legacy. I don’t think most 15-year-olds do. Yeah, I want to leave behind a planet better than the one that I was born into, leave behind the legacy of a healthier, more sustainable, beautiful, humble, understanding planet. I think this is the legacy that we can fight for what we believe in, no matter who we are, where we are from, the color of our skin, and the setbacks we were born with. Whatever that may be, economic background, none of that can stop you. None of that will stop you if you fight for what you believe in and you pursue your passion. Monica: Xiuhtezcatl, thank you so very much for joining us. It is an amazing pleasure to speak with you. Xiuhtezcatl: Awesome. Thank you so much. I’m very, very happy to have been a participant in this amazing Turtle Talk. And I hope to hear more and more young people on these Turtle Talks generally getting their voices out there in this world. So thank you for doing your part of broadcasting the voices and the messages that need to be heard. Monica: Absolutely my pleasure. Thank you so much. About Xiuhtezcatl Martinez: Xiuhtezcatl (pronounced Shoe-tez-cot) is a 15 year old Indigenous Environmental Activist and eco hip-hop artist and public speaker from Boulder, Colorado. He has been speaking at environmental and climate change rallies, events and conferences since he was six years old. He is co-founder and youth director of Earth Guardians, an international organization committed to protecting the air, the water, the earth and the atmosphere. He has worked in his local community with City Council and County Commissioners to get pesticides out of parks, help get coal ash regulated, bans and moratoriums on Fracking in Colorado cities, GMO’s and more.